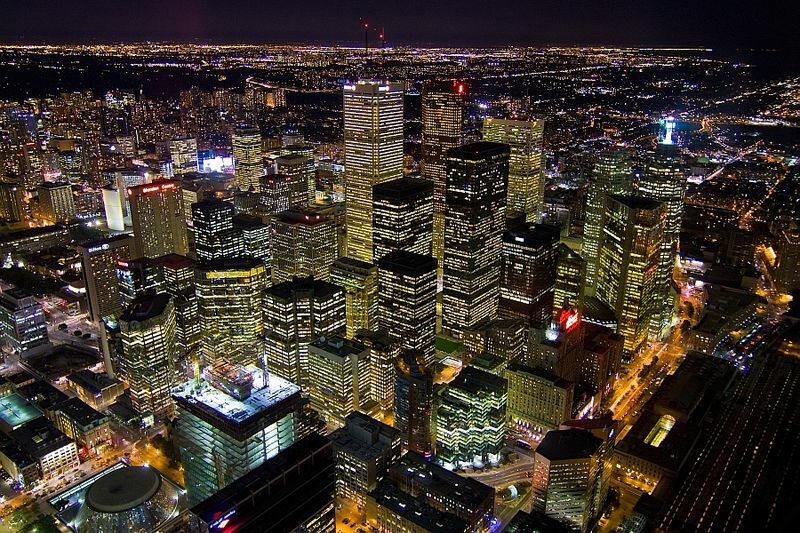 The Toronto skyline is rapidly evolving, with apparently no end in sight to the high-rise condo construction boom. Many popular vistas of the city are almost unrecognizable when compared with similar views from just a few years ago. All the same, the most striking views of Toronto continue to be captured by professional photographers and avid Instagrammers alike. Here are 10 of the best spots for getting panoramic views around the city. 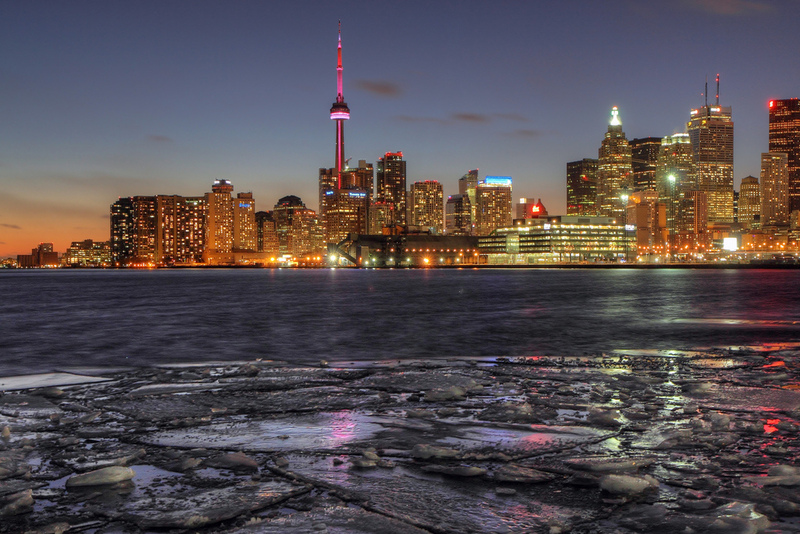 No list of Toronto viewpoints would be complete without the CN Tower. Standing at 553.2 meters (1,815 feet), you can enjoy the cityscape and the view of Lake Ontario and beyond from the LookOut Level at 346 meters (1,136 feet), walk across the Glass Floor and outdoor SkyTerrace at 342 meters (1,122 feet), and check out the views from the very peak, the SkyPod, at 447 meters (1,465 feet) above the city. 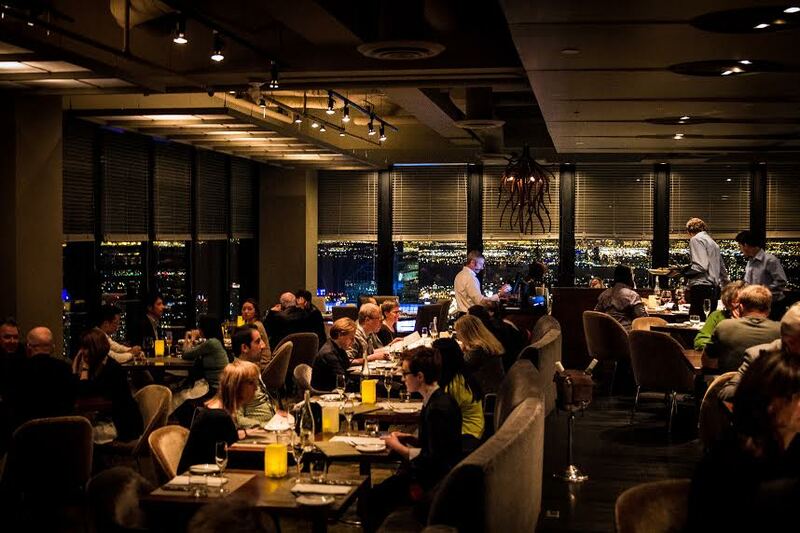 You can also eat at the 360 Restaurant, with its breathtakingly beautiful revolving views of Toronto. And if you’re feeling bold, you can take the panoramic scenes to the next level with EdgeWalk, a hands-free “stroll” around the circumference of the tower – the world’s highest full-circle, hands-free walk. 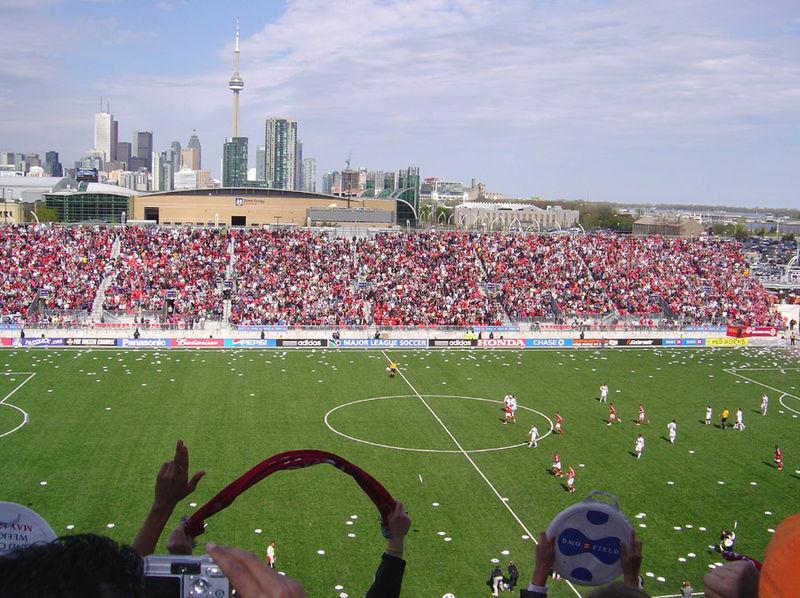 Even if you’re not into soccer, watching a Toronto FC game at the BMO Field is worth it for the stunning view of the city skyline that the stadium offers – even amid the screaming, red-and-white clad fans. On the west side of Toronto, the shores of Humber Bay in Etobicoke offer many unobstructed views of the downtown area off to the east. If you can get up early enough, watching the sun rise over the city from this area is particularly spectacular. On the other side of the city, Riverdale Park offers views of the Toronto skyline from the east side. Its location means that an ideal time to catch some stunning panoramic views is when the sun is setting. A well-kept secret, Chester Hill Lookout offers a similar angle of the city as Riverdale Park – but in a more secluded setting. 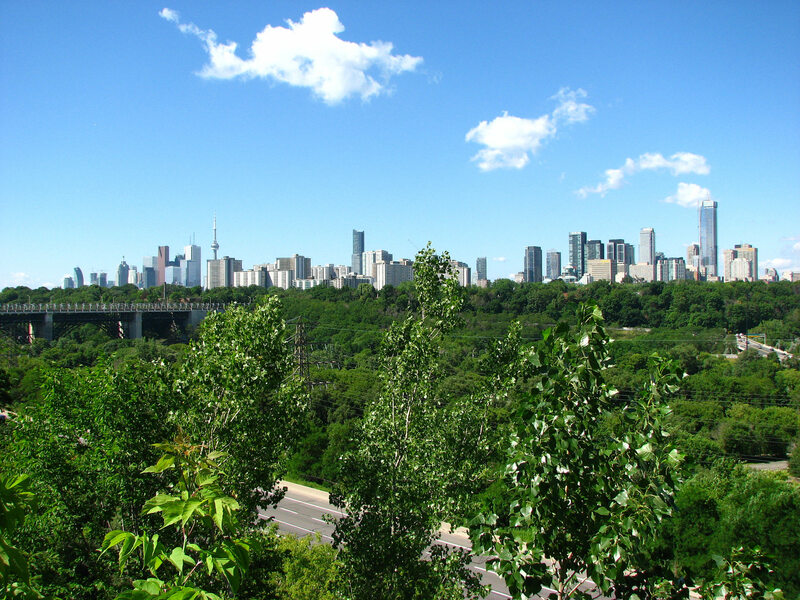 Here, you can look over the vista of the city skyline along with the Don Valley Parkway, the Prince Edward Viaduct, plus the Evergreen Brick Works. 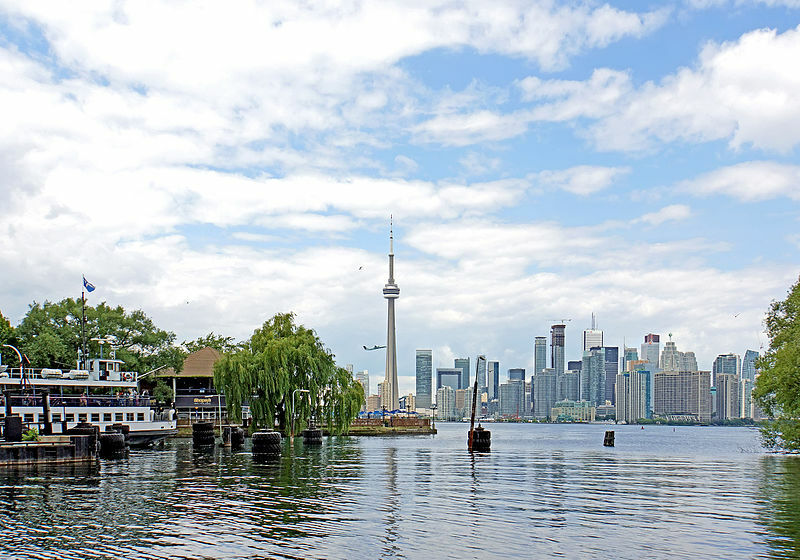 Taking the short ferry ride over to the Toronto Islands from Queen’s Quay Terminal offers a prime view of the city’s skyline. Whether you’re walking or cycling around the islands, you’ll have the chance to enjoy views of the city from an entirely new perspective. The Bathurst Street Bridge crosses over Toronto’s railway corridor and offers an unusual view of the downtown core. When strolling or jogging along the bridge, you’ll want to take a photo of the CN Tower and Rogers Centre, which by some trick of perspective, appear much closer than they really are. Accessed by foot or bicycle, the Leslie Street Spit provides an alternative to the ferry and offers a similar view as the one from the Toronto Islands. A fascinating tidbit: excavated material from various 20th-century Toronto projects was used to build the Leslie Street Spit. 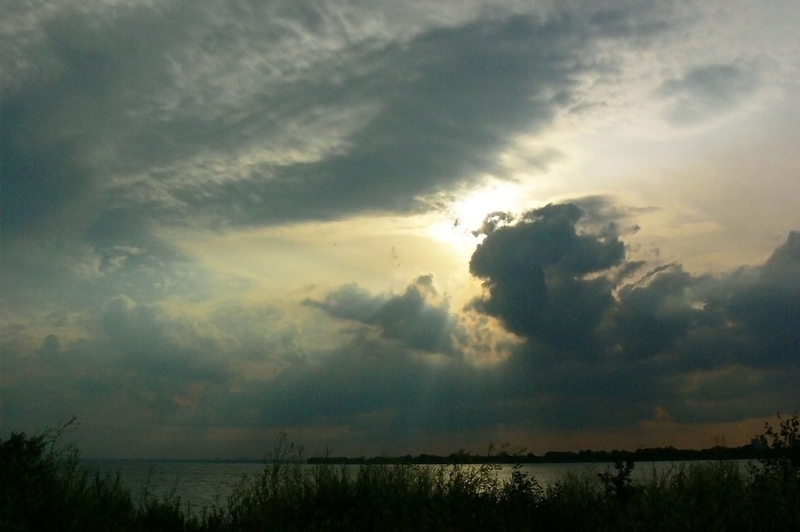 Toronto’s Port Lands, a windswept and industrial area, has parks and a marina that get busy during the summer months. 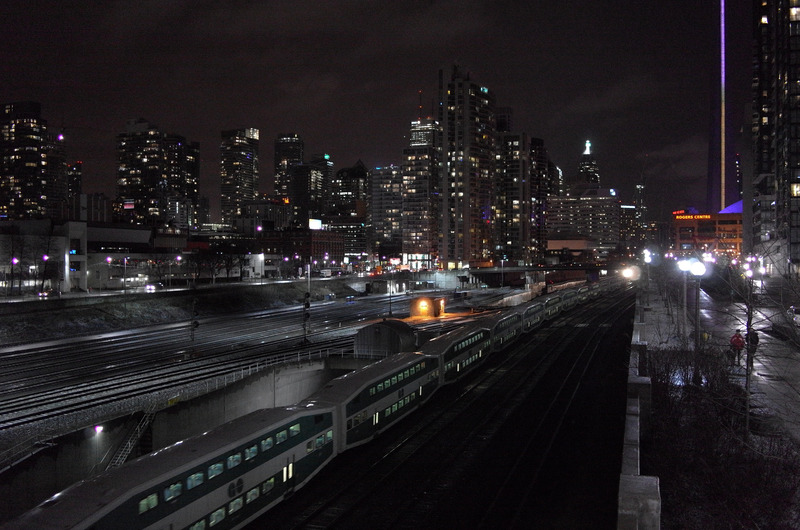 As party-goers heading to and from the nearby local nightclub/entertainment complex Rebel know, the docks along Polson Pier provide a great diagonal view of the skyline up Yonge. If you’ve got some money to spare, Canoe is an elite dining experience that offers beautiful panoramic vistas of the Toronto Harbourfront and downtown areas, which you can take in while enjoying Canoe’s upscale Canadian fare.